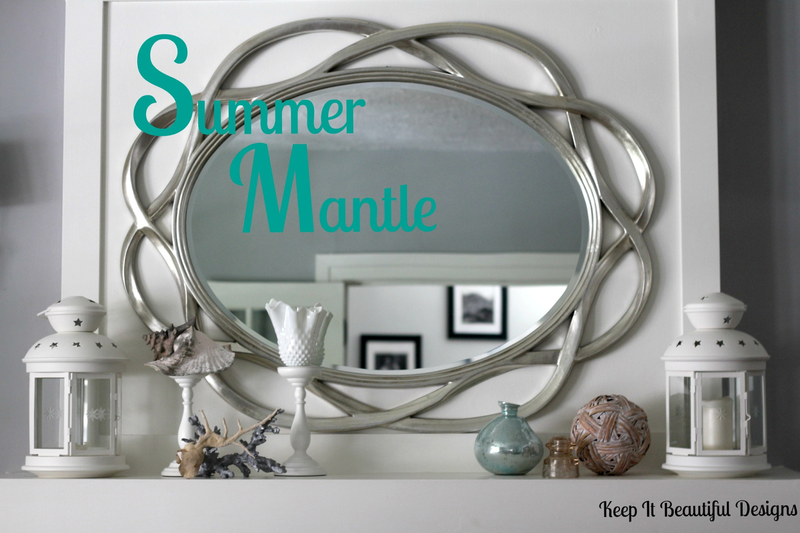 Keep it Beautiful Designs: The Mantle Goes Summer! How was your Canada Day? I took Monday off from the office for an extra long weekend. We had a big party at the cottage with lots of family and friends. We had a blast, played a lot, ate a lot, laughed a lot and partied a lot. Many of the adults stayed up into the wee hours. Yup, just call me a rebel ;) I think I pickled myself by staying in the hot tub all night! Good times. With the hot weather here, our mantle décor needed a pick-me-up. You know how much I love the beach, the sand, the lake, the cottage and anything white. I collected a few things from around the house, re-arranged them and voila...a summer mantle. That shell came from my parents' garden. I snagged it before they moved. I love that it's been outside and all weathered. 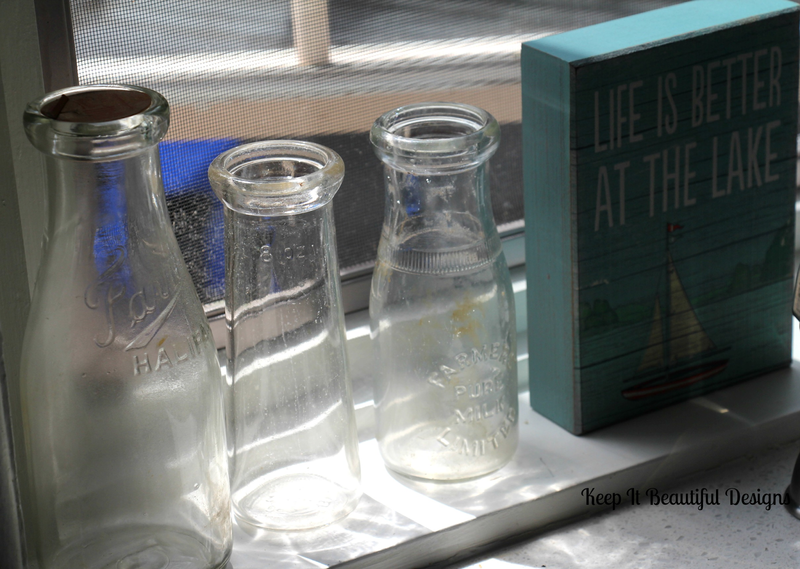 The white milk glass vase was my Nana's and I found the beige piece of coral on one of our sunny trips South. 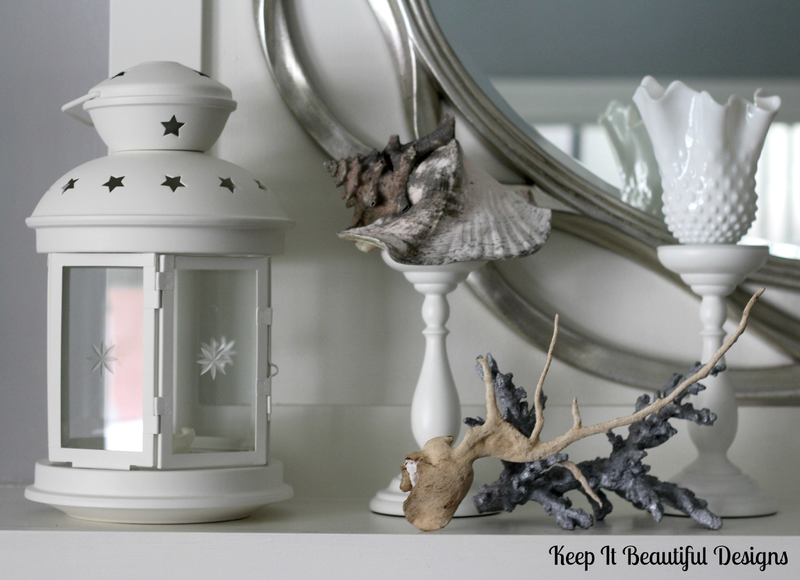 The grey coral is a fake and I found it hanging on the shelves of HomeSense a couple of years ago. 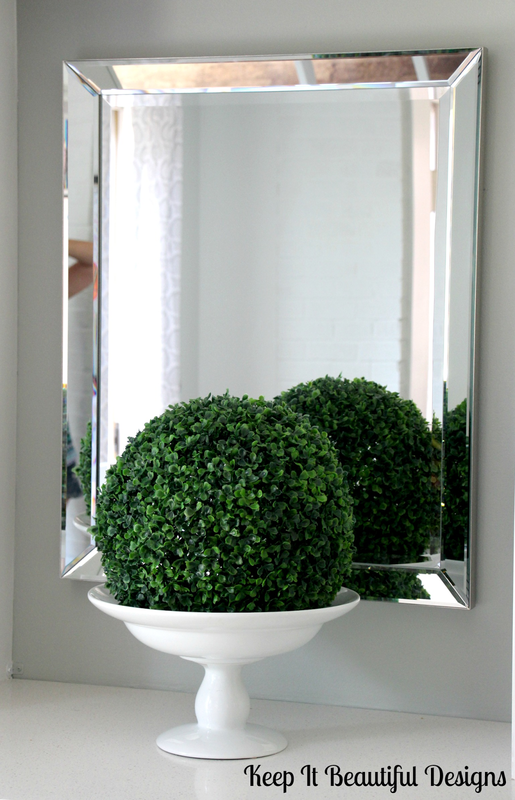 I picked up this green topiary at the Great Glebe Garage Sale in May. It found a perfect home in my Pottery Barn vase in front of the mirror in the breakfast room. My Dad made this sailboat tray in shop class when he was a kid. 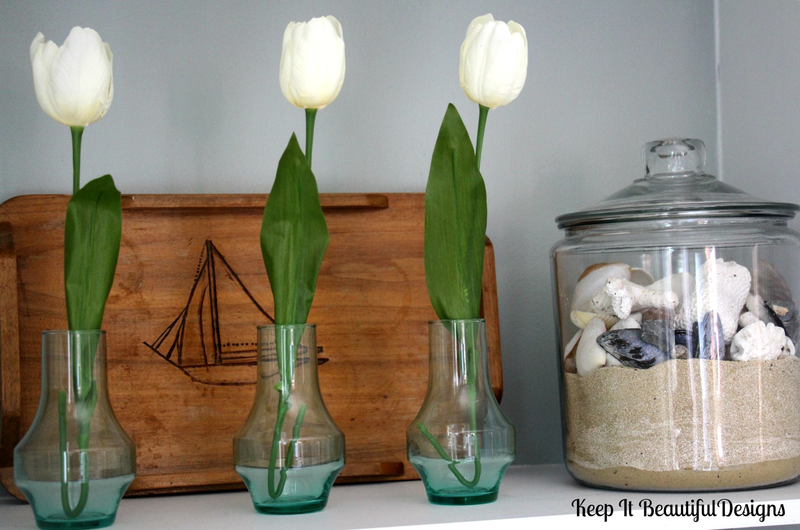 Makes for a little summer vignette.﻿ Remember, think in odd numbers when grouping items together. I picked up this cool bowl made of sticks. It looks very au natural and nautical. Makes for a perfect centerpiece on the dining room table. How easy is that? Look around your home. 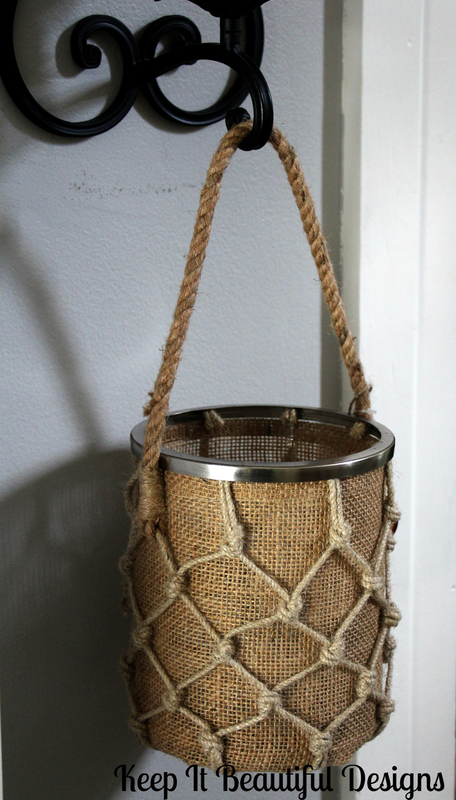 I know you have items tucked into cupboards, down in the basement or arranged in a different way that can be transformed into fresh.fabulous.sophisticated summer décor. This all looks so great - and you make it sound easy! 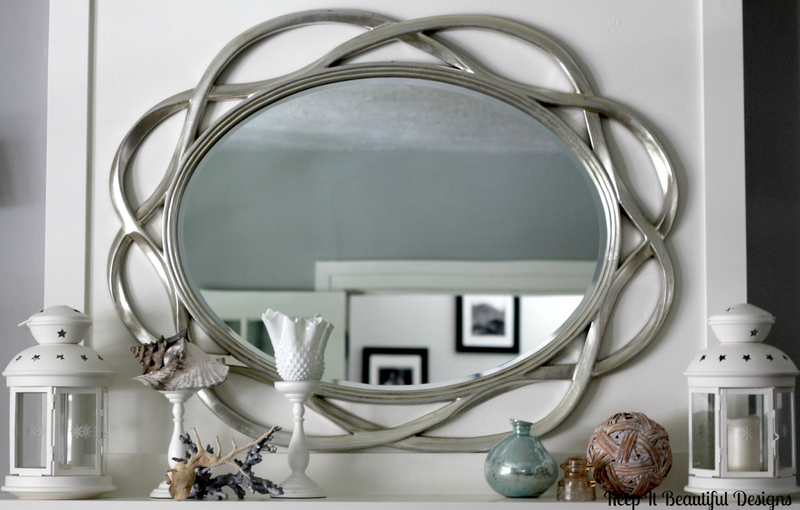 Where is your mirror with the wavy frame from? It's gorgeous!! Alicia, you hot-tubbin-rebel, this is a great vignette. I love all the spots you beach-ified. 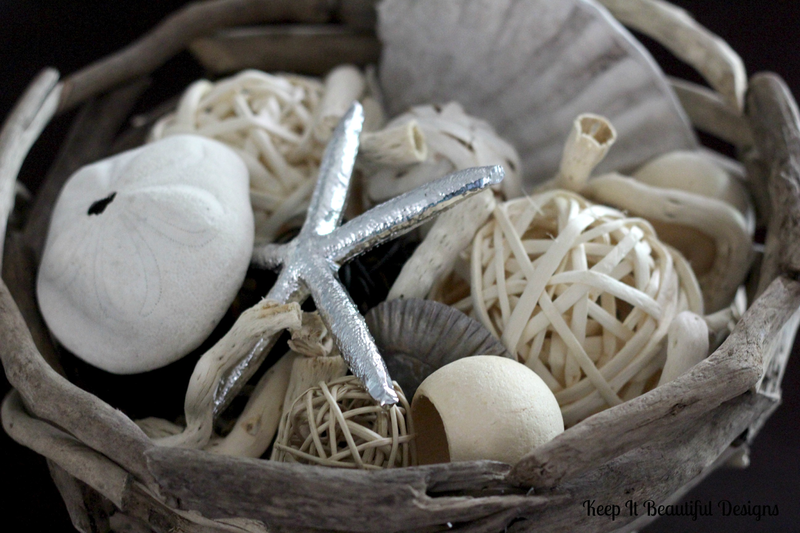 And you've totally inspired me to bring out some of my forgotten beach items; like the silver starfish I see we have twins of. Enjoy your short back-to-work week! Are You A DIY Diva? 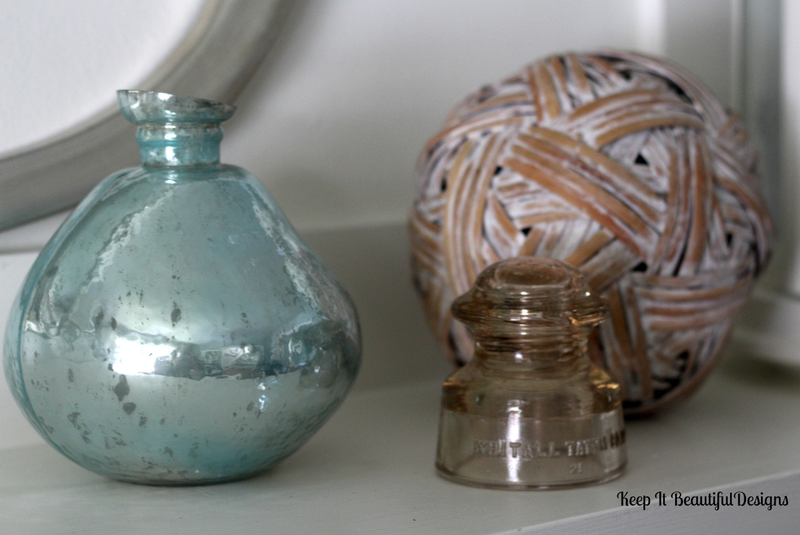 Adding Texture To Your Space! Fabulous Friday: Warm Your Heart!